As consultants of change, Converse, were instrumental in the turnaround strategy of Transnet. As part of this initiative, internal communication had to be implemented between the core operating divisions of this mega corporation. 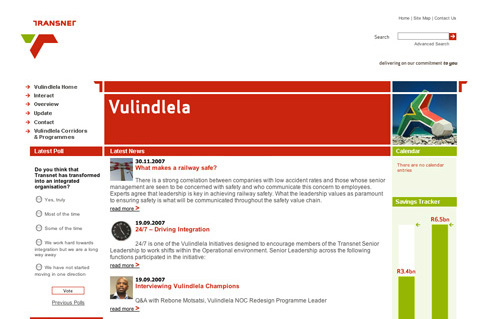 Underdog was contracted to build two extranets for the Vulindlela and People Project initiatives, which were accessible to the entire operating staff of the group.